We have been dry cleaning for nearly forty years and we have dry cleaned every type of christening gown you could imagine. We regard ourselves as the best place to avail of christening gown cleaning in Ireland. If your christening gown is a family treasure handed down through generations or brand new, we will look after it as if it was our own. We understand the importance of the celebration and we want you to have the gown returned to you in perfect condition. Our processes are very gentle on fabrics and we take great care to look after any embellishments. We use the most gentle cleaners so that you can safely use your gown again and again without the fear of wear from the cleaning process. 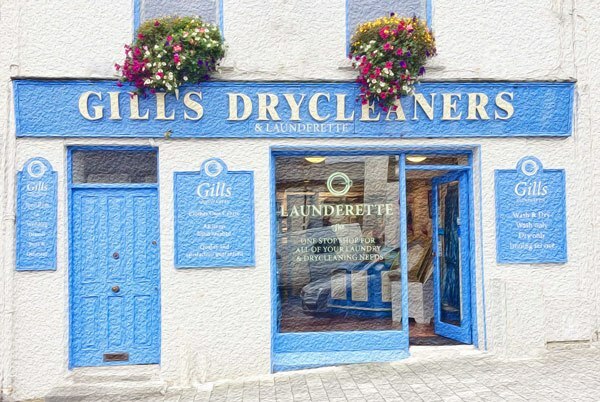 At Gills Dry cleaners our experienced staff will examine your christening gown and will advise you on the best way that we can clean and safely look after your christening gown. Call into any of our shops to get advice, we are delighted to help all our new and returning customers. Quality service and value are an integral part of Gills Dry Cleaners. Our unfailing attention to detail means our customers receive the best care for their fabrics. Our experienced and professional staff make sure our customers are always appreciated. Our pricing always makes sure our customers receive value for money.